FERGUSON, Mo. — A couple of weeks ago I was on a date with a lovely woman of the goth persuasion. I was doing pretty well—naturally—and she invited me to her apartment in Brooklyn, where she put on some music to set the mood. And when I heard the first few chords of Green Day’s soft-core punk anthem “Good Riddance (Time of Your Life),” I began to weep uncontrollably. Not because the song elicits memories of my days purging Eastern Europe of Soviet meatheads. Not because I wanted to invite the sympathy of my companion, to feel the bristles of her Elvira wig against my cheek, her black-painted nails pressed into my shoulder. No. I wept for America. Secretary of Defense Chuck Hagel resigned was fired on Monday, vindicating critics who had long argued that Hagel was unfit for the job. 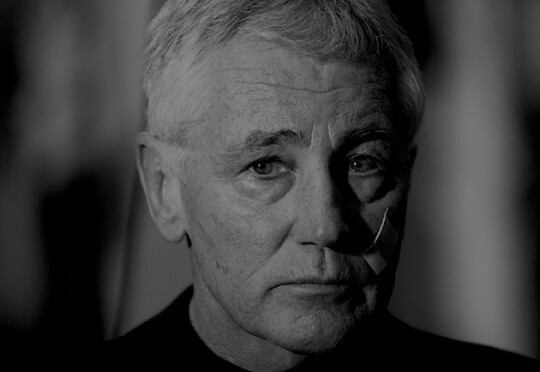 “Chuck Hagel has been no ordinary secretary of defense,” the man who fired him (President Obama) said in a statement. And this is certainly true. 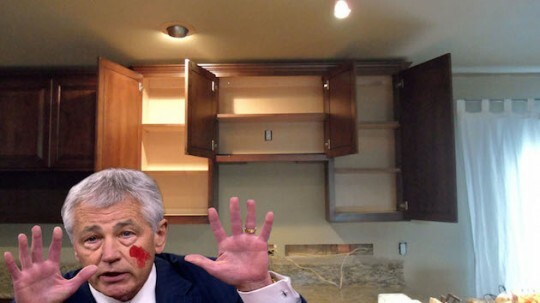 An ordinary secretary of defense, for example, probably could have defended his face from a kitchen cabinet. Hagel could not. Also, he couldn’t get anyone to return his phone calls. 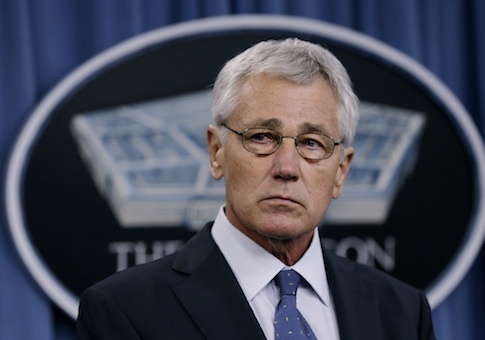 Who On Earth Would Want to Replace Hagel? On the one hand, it makes sense why the White House needed to leak so emphatically this morning that Hagel’s departure was “under pressure” and not an amicable split. 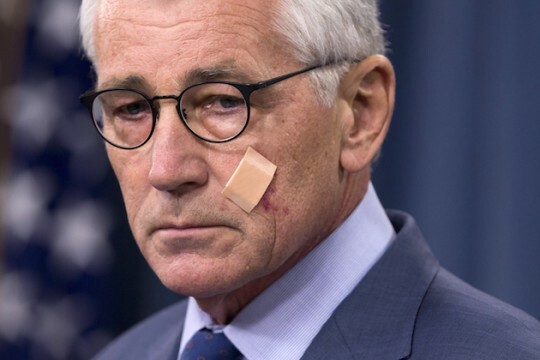 First, Hagel and his people were saying that he had initiated the split over his frustrations with the White House, and the president’s aides no doubt felt that such a narrative needed a strong response. 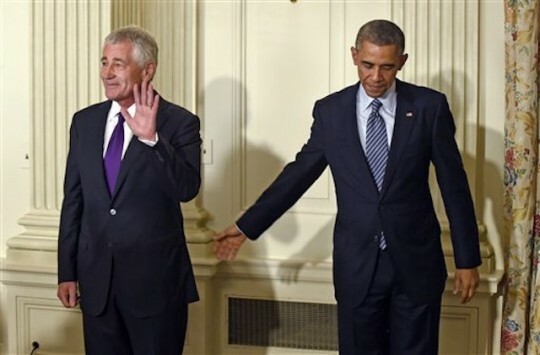 WASHINGTON (Reuters) – U.S. Defense Secretary Chuck Hagel has resigned, a U.S. defense official said on Monday, adding that President Barack Obama had accepted his resignation. WASHINGTON (Reuters) – Internal and external reviews of the U.S. nuclear arsenal show that significant changes are needed to ensure the security and effectiveness of the force, a Defense Department report said on Friday. 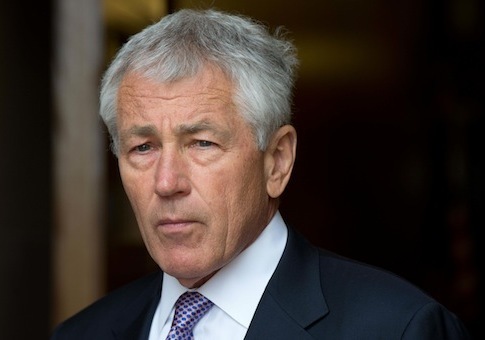 WASHINGTON (Reuters) – Defense Secretary Chuck Hagel said on Thursday the U.S.-led air war against Islamic State militants will intensify in the future as Iraqi ground forces improve and become more effective. How can we trust him to defend America? 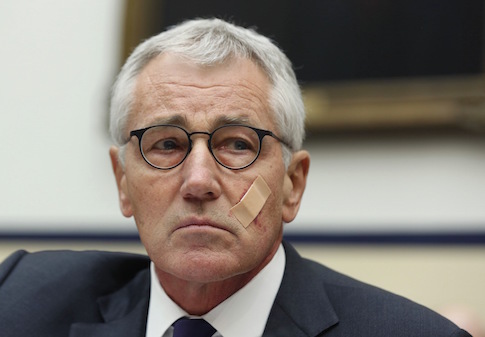 U.S. Secretary of Defense Chuck Hagel lost his battle with a kitchen cabinet earlier this week, and suffered a significant face wound in the process. 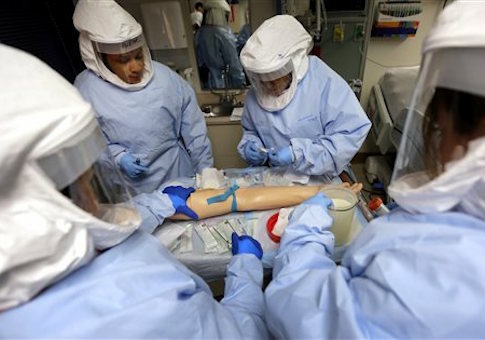 The Pentagon announced Wednesday that “all U.S. military service members” returning from Ebola plagued countries in West Africa would face a mandatory 21-day quarantine to ensure they are not infected with the deadly disease.